DIPLOMATIC PATH: Page MP Kevin Hogan was “pleased” with PM Tony Abbott’s speech to the Press Club. THE KNIVES are out for the Prime Minister Tony Abbott following the latest political poll showing the Bill Shorten-led Labor opposition has rocketed ahead to equal its best performance since the months following the 2014 May budget. Labor's primary vote of 40% compares to the Coalition's 38 - down three percentage points in a month, according to a Fairfax-Ipsos poll. 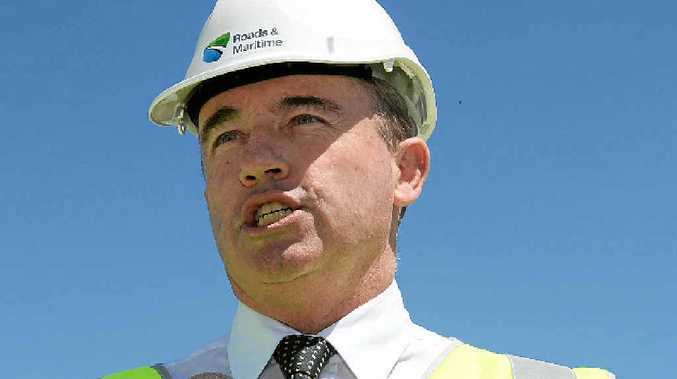 But as talk of possible leader substitutes in the form of Communications Minister Malcolm Turnbull and Foreign Minister Julie Bishop were bandied around political circles, Federal member for Page Kevin Hogan chose the diplomatic path. "As a National I get a vote for our leadership team of Warren Truss and Barnaby Joyce," he said. Mr Hogan said he was pleased the focus of the Prime Minister's speech to the National Press Club yesterday was on building a stronger economy, creating more jobs and lowering the cost of living "which is what we have always been focused on". With Mr Abbott saying there are 4,000 new jobs available every week and that job growth is triple that of 2013, Mr Hogan said some of the larger employers in our region, Northern Co-operative Meatworks and Norco, were "exceptionally pleased with the free trade agreements we negotiated". "These have helped them secure markets and therefore job security and growth in our region," he said. He said forecast tax cuts of at least 1.5% on July 1 would help small businesses. In a significant, personal backdown, the Prime Minister yesterday reaffirmed his commitment to abandon his original paid parental leave scheme and throw his support behind better childcare options.